A leading provider of advanced compression and distribution technology for 3D video games has secured £1.4 million in funding to support its growth in the video games industry. 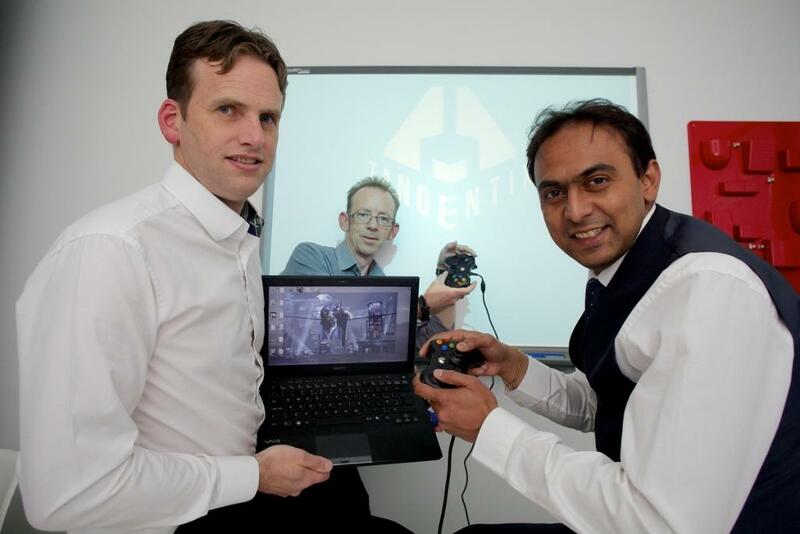 Tangentix Ltd, based at the Electric Works in Sheffield, is gaining global recognition for offering publishers, gamers and operators of digital distribution systems a more compact product to increase download speeds. Finance Yorkshire provided a total of £750,000 from both its Equity Linked and Seedcorn Funds. Other investors in the round included RisingStars Growth Fund II and ParkWalk Advisors. Tangentix, which currently employs ten staff, is now embarking on showcasing its new technology to the sector and debuted its latest innovations at the Game Developers Conference in San Francisco in March. “The funding marks a major milestone for Tangentix as we work to implement our compression technology in multiple AAA titles, and deploy a new concept for game discovery. Tangentix started as a spin-out from the University of Bradford in 2009, based on new algorithms to represent 3D objects. Since then, the company has developed a suite of tools and patents to cover different aspects of compressing all of the main components of a video game, including the 3D meshes, textures, sounds and video. The result is that games are typically one third the size of the originals, whilst retaining the same high quality. Finance Yorkshire provides seedcorn, loan and equity linked investments, ranging from £15,000 to £2million, specifically to help small and medium sized businesses meet the gaps in the market for the funding they need for growth and development. It is supported financially by the European Union. It has attracted £30million investment from the European Regional Development Fund (ERDF) as part of Europe’s support for the region’s economic development through the Yorkshire and Humber ERDF Programme, £15million from Yorkshire Forward’s Single Programme, and £45million match funding from the European Investment Bank. For more information please visit www.tangentix.com. Edward French, chief executive of Tangentix, Darren Morris from Finance Yorkshire’s Equity Linked team and Ashwin Kumaraswamy from Finance Yorkshire’s Seedcorn Fund.